Posted on November 18, 2014	by Katy K.
Halfway through November already – or it was when I started this post, and now it’s even later! The weather forecast here is predicting snow all week – I’m deciding to think about the extra opportunities for curling up with a good book and a mug of tea or hot chocolate, rather than how it really shouldn’t be snowing just yet. 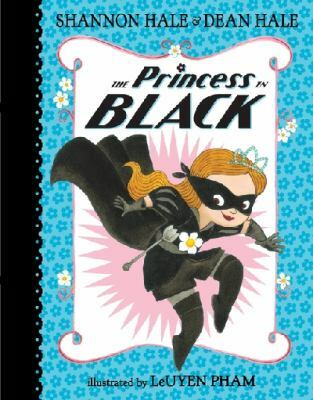 My daughter’s favorite book of the last month was Princess in Black by Shannon and Dean Hale, with illustration by LeUyen Pham. This has an exciting story with short chapters and lots of full-color illustrations, which kept her hooked and worked beautifully to get her out of bed on school mornings. Now we’re reading (by request, no kidding) the Daisy: the Girl’s Guide to Girl Scouting – she is really enjoying the stories of the flower petal friends they use to illustrate the points of the Girl Scout Law. While maybe not great literature, I confess I’m excited about anything that gets her thinking about her behavior beyond what’s fun for her. It’s in rather stark counterpoint to her car listening, which has been a revolving selection of Junie B. Jones books. Junie B. is hilariously amoral in the way of five-year-olds – in fact, very similar to my own five-year-old – so that all of us are laughing at her in the car. Other picture books we’re enjoying right now are Winter is Coming by Tony Johnston (even though winter is here, quite early for us), A Bean, a Stalk and Boy Named Jack by William Joyce, Crabby Crab by Chris Raschka, Flashlight by Lizi Boyd, Sometimes You Barf by Nancy L. Carlson, and Annie and Snowball and the Thankful Friends by Cynthia Rylant. 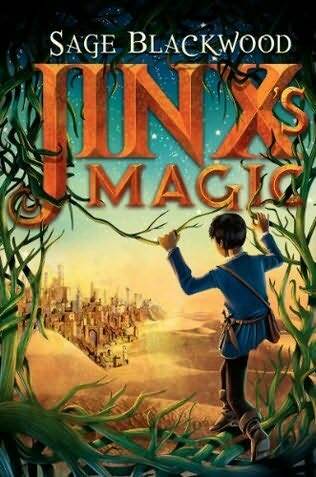 My now ten-year-old son and I are still reading Jinx’s Magic by Sage Blackwood, which we started back in September. It’s slow going, as we can’t read every night, but he really loves it and was excited this week to find a classmate also reading it. We’re listening to The Iron Trial by Holly Black and Cassandra Clare in the car. The big excitement right now is that he’s decided to read The Ruins of Gorlan, the first book of the Ranger’s Apprentice series by John Flanagan. This isn’t a book that I loved myself, but it’s a) really popular with all his friends and b) much more advanced than he’s ever committed to reading to himself. Even when we told him how much more he’d have to read every day than he usually does to finish in time for it to be his school book project book, he was not interested in my offer of another, shorter but still exciting adventure book from. So far, he’s been keeping it up and enjoying it, which is just great. 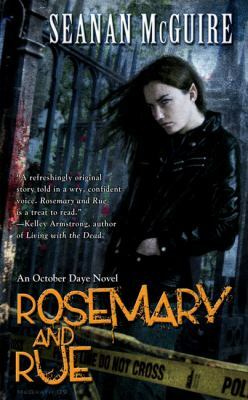 My love recently finished listening to Rosemary and Rue by Seanan McGuire, which he liked just fine, if not as much as her Velveteen Vs. books, which could have been written just for him. He’s now re-listening to The Martian by Andy Weir. I also checked Best Lunch Box Ever by Katie Sullivan Morford out for – well, all of us except my son to look at, since my daughter actually seems to want something beyond plain unbuttered bread and a couple of spinach leaves in her lunch, and I thought we could use some inspiration. I had to clear more room off on my library book shelf to hold all my Cybils reading, and the books keep on coming! 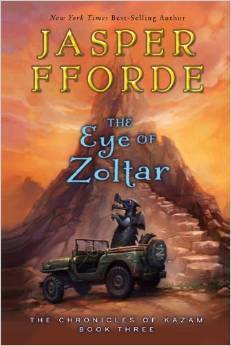 I just finished The Eye of Zoltar by Jasper Fforde in print – still lots of fun, but not quite as much as the previous books. Next up (I think) is The Cat at the Wall by Deborah Ellis. I’m re-listening to The Wee Free Men by Terry Pratchett as a short break, and Pennyroyal Academy is next up in my Cybils audio queue. I am finally (hooray!) listening to Blue Lily, Lily Blue by Maggie Stiefvater – which I actually had for a little bit and didn’t start because I wanted to finish the book I’d started while waiting for it to arrive. That was a new recording from Post Hypnotic Press, narrated by Colleen Winton, which was a free download through Audio File magazine over the summer. I’ve listened to Anne before and liked the narrator just fine, but Winton was the first narrator I’d heard with an actual rural Canadian accent – such fun to listen to! I haven’t been able to find any of the books I need to read in mp3 format from my libraries, so that’s my guilt-free regular break from Cybils reading. My other print library books right now, all Cybils-nominated, are Fat and Bones by Larissa Theule, Gabriel’s Clock by Hilton Pashley, Battle of the Beasts by Chris Columbus and Pathfinder by Angie Sage. I also have a stack of books that I couldn’t get through libraries that publishers have kindly sent me – but as I don’t have a list with me, I will just say that I am grateful to have them! This entry was posted in Books, Personal and tagged bibliography, book basket. Bookmark the permalink.